At first glance, Alonzo Arnold’s Instagram page reads like that of a hilarious social media personality who also makes unbelievably realistic wigs. The ability to move fluidly through gender identities is but one of the many talents the Atlanta-based hair stylist possesses. 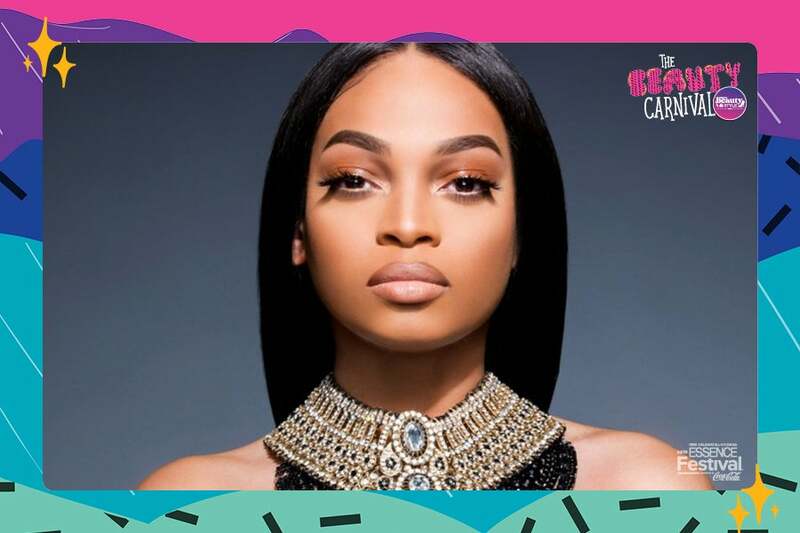 Lovingly known as the Beyoncé of Bundles, he’s created looks for Solange Knowles, Cardi B, Remy Ma, Kehlani, Karrueche, Keke Palmer, and K. Michelle to name a few. Arnold’s quick rise to prominence as a premier wig stylist can be attributed to the trifecta of his brand: hair, humor and fashion. We caught up with Arnold to discuss what sets him apart from other stylists, how he stays ahead of the trends, and why he’s a champion of the everyday woman. ESSENCE: How long have you been working in the hair business? Alonzo Arnold: I’ve been doing hair professionally for five years. I got started in November of 2013. ESSENCE: When did you first discover your passion for hair? AA: Actually right around that time. I was working at a restaurant, and we had a slow season coming up, and I was just really tired of being broke with no money, tired of being behind on bills. So one day, I was like ‘I wanna start doing hair,’ because I took my sister to her hair appointment, and I was just watching everybody do hair, and I was just so fascinated. So I spent my last $150 on shampoo, flat irons, and things like that. I did a co-worker’s hair, and she loved it. At that time it was something I was doing on the side. ESSENCE: How did you transition into doing wigs? AA: I’ve been doing wigs for two and a half years because I was tired of my clients getting the same thing done over and over again. So, I decided to start making wigs because I wanted to do these crazy colors and things like that. I just started making them and sold them for like $250, and people started really buying them. That was when I was like: okay I’m either doing hair behind a chair or I’m doing wigs. So, I stopped doing hair last year of January 2017 just to focus on wigs. ESSENCE: What sets your wigs apart from other stylists? AA: I think it’s the quality and the way I style them. My coloring skills set me apart from the rest. I don’t really focus as much on the celebrity side. I focus more on the conservative woman side. They have a job and they don’t have to get wild colors and stuff like that. Believe it or not, those everyday, normal length 22-inch wigs, 1B color sell out the most. Color and curl honey! @alonzoarnoldhair relaunching September 21st! ESSENCE: You seem to be a champion of the everyday woman. Where does that come from? AA: My family. They have those kinds of 9 to 5 jobs, and they need something to wear that’s low maintenance or no maintenance at all. It comes from my mom. Seeing her go to work every day just to take care of her family. ESSENCE: How do you stay ahead of the trends? Where do you draw inspiration? AA: I look at art in Japan, and other Asian countries. They’re always ahead. They create timeless looks. So I always look at those magazines and those fashion shows, and that’s my inspiration. ESSENCE: Do you have a dream client? AA: It doesn’t have to be a celebrity necessarily, but I would say Rihanna for my dream celebrity client, because she’s not afraid to try different things. ESSENCE: What can people expect to see from you in the future? AA: I’m re-launching my website September 21st. There will be new wigs, and my line of hair tools should be launching by the end of October. So, I’m really excited about that. Learn more about Alonzo Arnold here.